If you're new, every year we do a photo challenge in October called the "31 Days Of Wholloween"
The premise is simple, each day there is a prompt. 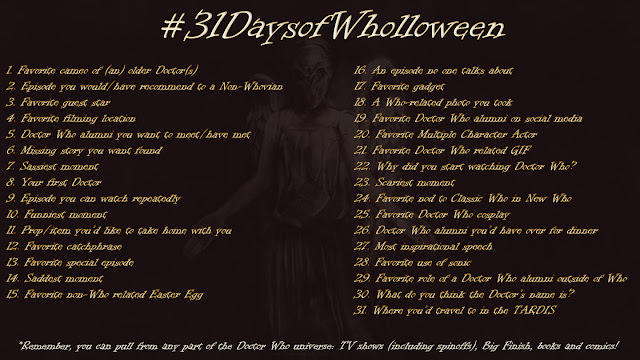 You post a picture related to that day's prompt on whatever social media platform you want (Facebook, Twitter, Instagram, Tumblr, etc) and use the hashtag #31daysofWholloween You can get your pictures from wherever, and you can join and an play along as much or as little as you like. If you miss a day, you can catch up if you like, or just jump back in. Remember, this is supposed to be fun, so we hope you join in! *Unless the prompt is specific to a certain part of the Doctor Who universe, you can answer from any part of Doctor Who including the TV series (classic and new), comic books, Big Finish and spin-offs. 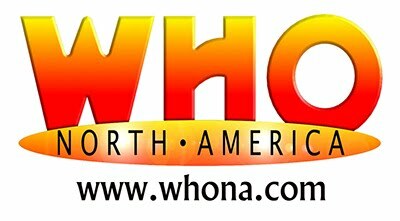 Have fun and we'll see you on the social medias on October 1st!